Isanti County includes 13 townships in east central Minnesota. It’s one of the fastest growing counties in the state due to highly regarded small towns and school districts, reasonable housing prices and ready access to employment opportunities locally and in the metro area. Sometimes you don’t realize just how inefficient things are until you find a better solution. That’s what happened to Travis Marttila, Network Operations Manager for Isanti County. Marttila was struggling with aging stand-alone servers that lagged in speed and performance. Because the servers were stand alone, they had to be managed individually. When Marttila spoke to his Marco technology advisor about making an upgrade, he had no idea just how extensive the improvements would be. Marttila sent his technology advisor a spreadsheet of the upgrade he envisioned. The information was shared with a Marco engineer who talked with Marttila about his options, including UCS blade server technology. In addition to the new server, Isanti County also upgraded to an EMC storage system that houses the data. Because all the servers reside in one place, Marttila is able to manage them much more efficiently. “Having everything consolidated into one UCS is a one-stop shop to manage. You just go into one spot with the four blades and all of it is right there. I don’t have to remote into this one or remote into that one,” he explained. He says throughout the entire process, Marco’s service was exceptional. people in place. That makes life a lot easier for us,” said Marttila. And since the implementation, Marttila has been impressed with Marco’s responsiveness. “If we had any questions or concerns, people are really responsive and willing to help. You get the impression that Marco is really legitimately interested in making people happy. It’s a great thing to be able to know that when you pick up the phone or send an email, somebody is going to be writing back to you or answering your question right away. That gives you great peace of mind,” said Marttila. With their new servers exceeding their expectations, Isanti County is in the process of getting a new firewall. And, once again, they’re using Marco. “The fact that we keep going back is very indicative of how helpful they are. 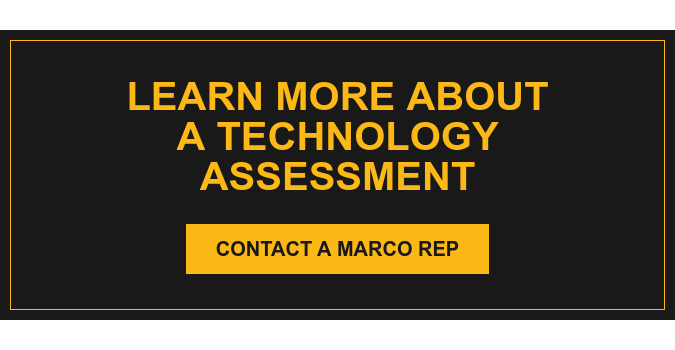 There are vendors products we’ve changed, but Marco is definitely not one of them. We want to keep them around,” he added.